Long before we decided to homeschool, we ensured that our first child has plenty of books at her disposal at any time of the day. 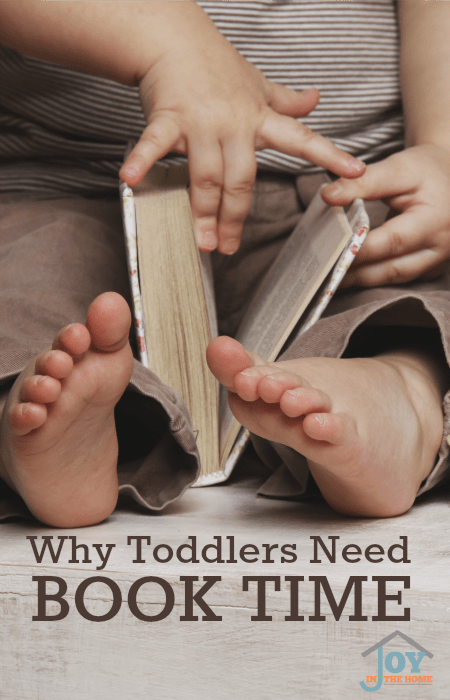 I'm not sure why I made that conscious effort to secure many different kinds of book all those years ago, but the benefits that I saw made me realize why toddlers need book time, too, and why I stick by it. As I was expecting our first child, all those many years ago, I knew that a bookshelf was going to be a permanent fixture in our home, and I have held to it more than 20 years. I have had the books cleaned off in matter of seconds, and the job of putting them back up again and again, but I knew that these books at my children disposal was very important, long before the proof showed up in the pudding. When I found out I was expecting our fourth child, almost seven years ago, I headed to yard sales and used sales to replace the board books, and toddler selections for my shelves after I had given them all away to my nieces and nephews. This is a picture of our youngest when he was just two, and very much loving the ability to have book time any time of the day. Over these years, I have learned so much about the benefits just by watching my four children fill their days with all kinds of books, and here is what I learned. Book are everywhere and for most of their lives will be the source of much of their learning. Teaching toddlers to love books, being read to them and enjoyed on their own at an early age will give them a head start in this part of learning. Giving them books that have alphabets, numbers, colors, shapes, people, animals, flowers, plants and things that they see in their daily lives in and out of the house, will build their knowledge and help with the beginning stages to reading. Books are where ideas comes from, which is really important to building independent creativity in them. The kinds of books that will help with this will have people (children and adults) doing things, like building with blocks, playing with puppets, riding bikes, drawing, fixing cars, cooking dinner, grocery shopping or playing with others. Children learn through the ideas that are displayed before them and when they see something that sparks their imagination, they then can turn that idea into independent creativity by emulating what they see in the books. They already do this with what they hear and see others doing within their home, out of the house and on television. When they gather ideas from books and their creativity beings to flourish, it is then that motivation is created. They will then be inspired to practice new ideas that they have on their own or will begin to be interested in other things because they have found out they exist. I love allowing my children to browse sections of the library to see what sparks new ideas that become the things that motivate them. 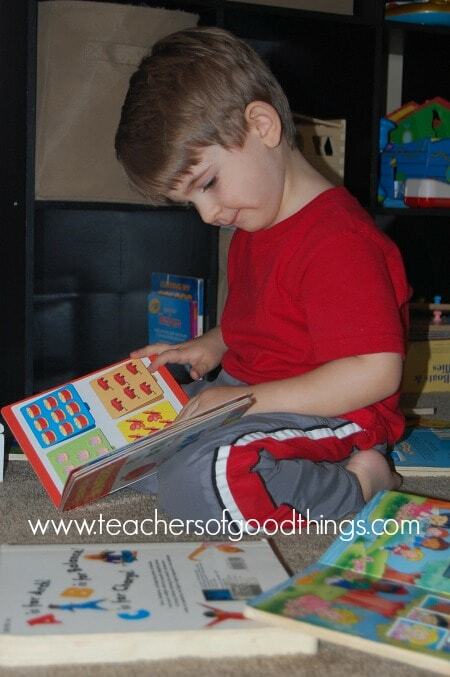 It is these reasons why we should incorporate book time into our toddler's days. I would also encourage you to have an area of books that they can use at any time of the day and encourage them to spend a few minutes looking at books of their own. My children have always loved having their own book time.